The internet is littered with articles about doctors and medicine…some good, some not so good. I enjoy reading them, regardless of quality. With the growth of social media and the prevalence of internet-based communications in medicine, the web has quickly become a new voice for physicians. Most importantly, it’s a better way of communicating with the non-medical public. Much of medicine remains a mystery to laypeople, especially when it comes to the daily life of physicians (and all other providers and ancillary medical staff for that matter). Informal articles are frequently damaging to providers; however, some can actually be quite revealing to the public. With the constantly changing landscape of healthcare, it’s becoming more important to tell our side of the story. Below are a few of the articles that recently caught my eye. Enjoy! (1) How Do Clothes Influence What Patients Think About Us? This article is symbolic of the many hats physicians are required to wear in modern medicine. It also very clearly identifies some of the hurdles we face. I sympathize with female physicians, as their wardrobe and image situation is much more complicated than that of male physicians. (2) Where Does The Physician’s Responsibility End? This article really strikes a nerve. I’ve wondered for a long time, where is the line between my my responsibility for patients and their responsibility for themselves? What do you think? (3) Feel Like You’re Struggling Against The System? Great article. Period. Every provider I know can sympathize with this article. When you feel as though you’re struggling against the system…it’s because you are. Do you have any articles to share with the group? Please reply with links to anything you’ve found interesting. I look forward to hearing your thoughts! 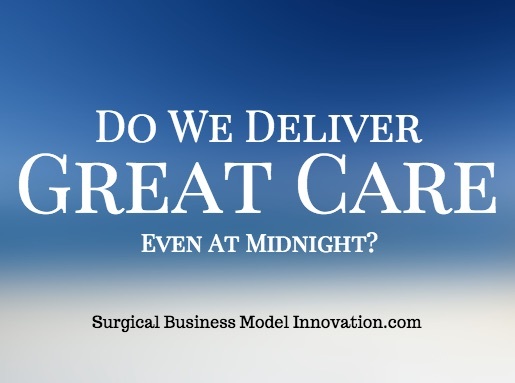 Posted on January 27, 2015 Author David	No Comments on Do We Deliver Great Care Even At Midnight? Do We Deliver Great Care Even At Midnight? It was 1:00am, and I was at bedside with a complicated post operative patient in the ICU who had recently presented with upper gastrointestinal bleeding. The resident surgeon and I (I’m a fellow now) were on the phone trying to get in touch with nuclear medicine, with GI, and with interventional radiology…and none of them were answering. Ten minutes passed. Then twenty. I timed it because when patients are as sick as this guy, every minute feels like an hour, especially when you’re waiting for a call back. I was curious how long it would take them to return a call. Any of them. Why had all of our consultants turned into pumpkins after midnight? This patient needed their help–and he was sick. I can sympathize with providers who are forced to wear two hats: the elective, daytime hat and the emergency responder, middle-of-the-night hat. The gastroenterologist I call doesn’t just have to get out of bed in the middle of the night, they also have to face a full day of elective cases and clinic patients in the morning. The interventionist calls in an entire staff and is often left to struggle through elective procedures with a skeleton crew the following day. The aftermath of responding to midnight consults must be a terrible deterrent for them. Sympathies aside, many midnight consults cannot wait to be seen in the morning and patient welfare is at stake. Oh, by the way, many docs are reimbursed related to the number of cases they do (and RVUs they produce). Would it make sense for them to struggle for a few extra RVUs that are hard to get when it’s 2AM and the patient is critically ill only to struggle more to do the rapid turnover, elective cases the next day? God forbid you’re so tired from the midnight work for that patient that you have to cancel some elective cases for the next day. Does it make sense to them to work hard at 2AM with this patient and phone call, or instead just to sleep and focus on the elective “daytime hat” cases that their contract incentivizes them to do? Could those same docs be faulted if they adopted the “they wouldn’t have survived anyway” mentality that I so commonly see providers use to make themselves feel ok about the difficult situation they’re in? Yes, some people will pass away no matter what. However, in one system in which I’ve worked, even people who “wouldn’t have survived anyway” did survive–and it was because the system was setup properly. Hospitals really need to make sure they are incentivizing the kind of behavior that leads to the best (yet often labor intense) outcomes for critically ill patients–because, now, sometimes they don’t. Did you ever notice that (if you need gas or a snack) there’s always a gas station open? If you feel the need to harden your arteries at 3am, there’s usually even a Taco Bell that’s both waiting and willing to help you. Walmart’s doors are open 24/7 (and holidays too!) for electronics, groceries, household items or people watching. You can even get photos developed. Why aren’t hospitals that provide care for critically ill patients 24/7 entities as well? People need healthcare around the clock, emergencies don’t wait. Maybe it doesn’t need to be all hospitals, but the ones that take care of sick people need to get this right. By the way, did you know trauma tends to be “a disease of nights and weekends”? If you look at many trauma programs (that care for critically injured patients when time is short), there’s often an influx of patients at night time and on weeknights. Those are the busy times. And when are those programs the most short-staffed? You got it: those same nights and weekends. Here’s an exercise: knowing what you know now as a provider (and assuming you had all the power and influence you would need) think about how you would run a hospital? How would you schedule your physicians and staff? What would the hospital look like at 8am, at noon, at 4am, or on Sundays? Obviously, things need to change. Changes in a hospital system are tough to perform (there are some useful steps described here on the blog); however the Acute Care Surgery model (ACS) is an excellent example of positive change. ACS is more of a system than a specialty. 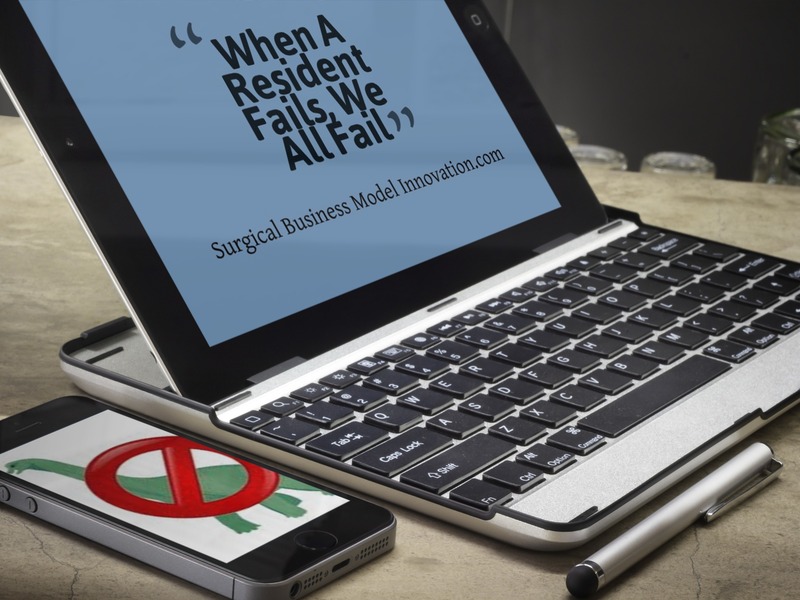 Hospital with well-run programs are able to provide consistent access to surgeons for both patients and for consulting teams. ACS also serves a sort of triage service for acutely ill patients, taking much of the brunt for their daytime colleagues and even for the consultants. It turns out that general surgeons actually end up doing more cases when they aren’t burdened with emergencies that interrupt their flow and consume resources. Having a fully-equipped surgeon who specializes in emergency care (and knows when and why to call in consultants) as part of a system is much more effective than other processes of dealing with critically injured or ill patients. Having a provider like an ACS surgeon in-house takes a huge burden off the system, and the entire system grows in terms of cases performed even as the overall quality improves. It’s the only real 24-hour specialty outside of emergency medicine. Our patients need us 24/7, so shouldn’t we be adequately staffed to provide care 24/7? Shouldn’t the hospital be more like a Wawa (or Sheetz) than a bank? In a perfect world, it would be….with the hum of the hospital sounding exactly the same, regardless of the hour or the day or day of the week. We should aim to get great outcomes for everyone all the time and now we face a choice because we know what it takes. And so now we are obligated to act on what we know. My medical school orientation was quite the to-do. There were lectures, dinner, team building exercises, and even a field trip. The field trip was what had the most impact on me, and not for the reasons you’re thinking. The impact was all negative for me. The entire medical school class packed into tour buses and we drove out of the city to a small community hospital teeming with “underserved” patients. We were taken there for the shock factor: the facility was crumbling, the clientele was poor and unhealthy, the community was violent and drug-ridden yet the community leaders were trying hard to make big changes. It was terrible and beautiful at the same time and a hundred-and-twenty-some bleeding hearts looked on. So why was this such a negative experience? Because I was born at that hospital, that’s why. Because my family lived in that area, that’s why. Because the people there recognized my family’s faces in mine without knowing me and it was embarrassing. I was surrounded by seemingly good-hearted people who, without saying it, felt as though they were better than these “underserved” people. I was unable to identify with either group because I was clearly no different from these people yet I was not “underserved”. I had simply found a way around a certain set of barriers. Remembering this, I began thinking about what it means to be underserved and now, after 10 years of training, it’s time to re-explore the definition. In my opinion, to be underserved is not to lack resources, it’s to lack access to resources; to serve the underserved is not to give resources, it’s to eliminate barriers to resources. Early on in our medical training we are taught to pay attention to the underserved and we are even taught about who they are: black people, poor people, rural people, non-English speaking people, abused women and children. We are taught to feel for them…but we shouldn’t. Underserved populations are groups of people who have identifiable barriers to obtaining healthcare, barriers that as physicians, we need to address in order to properly care for people. How we feel has nothing to do with it. In fact, you could argue that having feelings towards any group of people clouds your judgement and makes it harder to be objective. Step back for a moment and think about what it means to be underserved…it’s about barriers to healthcare. As physicians our job is to eliminate those barriers so that underserved populations have access to care; it’s not our job to just feel for them and give away healthcare. Why Does This Fit On This Blog? You may be wondering why I’m writing about this in a business and innovation blog. The point is to highlight a set of skills that already exist in the business world–skills that you are likely overlooking in your process improvement and safety lectures/meetings. Tools like root cause analysis or Ishikawa diagrams can help you identify the right problem. Process improvement exercises could streamline your practice and extend your abilities to see patients. Pulling data from your very own practice and analyzing it may identify barriers that exist in your very own office. Taking this knowledge base into the community and using it to maximize the efficiency of hospitals, like the hospital I was born in, has the potential to touch more patients than you could ever dream of seeing in your own practice. To be “underserved” isn’t about being poor or black or beaten or far away from a hospital; it’s about being stuck behind barriers. As physicians, we can help more people by identifying and breaking down barriers than by simply stepping over them, because at the end of the day the barriers will still exist. If you really want to make a difference and extend your influence as a healthcare provider, then use some tools from business world. We don’t get paid to feel bad for people, we get paid to help people and the best way to do that is to be objective and remove barriers so that we can see who really needs us. I challenge you to start thinking of the “underserved” in a different way and begin tackling their barriers to healthcare in a strategic manner. If you can correctly identify what stands between you and your patients (or colleagues!) then you will have a much better shot in removing that barrier. Take a closer look at David’s blog entries for more information…the tools he describes can be used for much more than business if YOU apply them correctly. It’s board season. Well, it recently was boards season. This is when tired and bitter chief residents first enter the ranks of the attendings (or fellows) and the dinosaurs emerge from their clinics, operating rooms and labs to re-certify. No one is spared…the chairman, the worker bee, the non-operative surgeon, the researcher….everyone must participate at some point. A mountain of paperwork, $1400 in registration fees, and 320-something questions for one exam with very high stakes. 18% Fail?! Are You Kidding Me?! Let’s talk a minute, however, about the results of the boards. Per the ABS, pass rates are, at best, 82%. 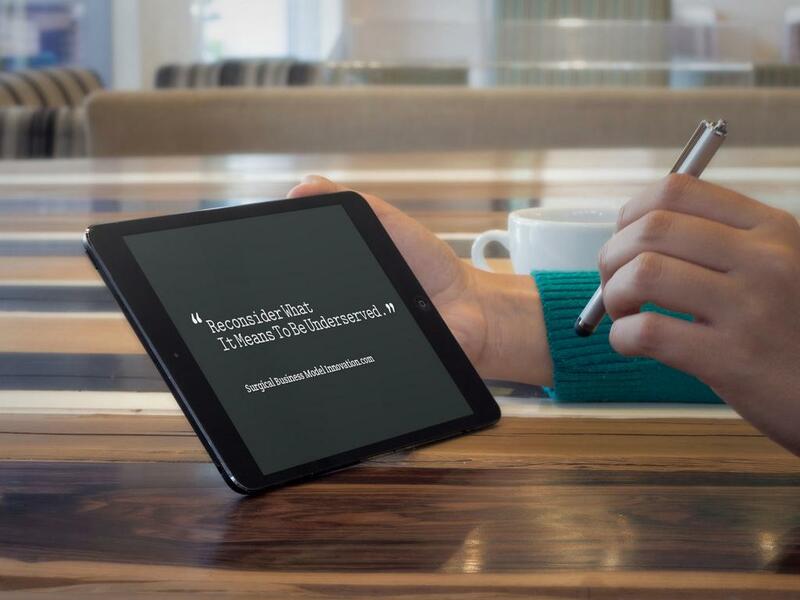 So 18% do NOT pass…that means 1 in 5 fail! Whether you’ve passed or failed, taken the exam once or thrice…you shouldn’t feel good about our testing schema. What does this failure rate say about our training programs and surgery as a profession? One in 5 board eligible surgeons are retarded. The exam is too difficult, too tricky or is testing information that is not included in surgical training. We aren’t teaching residents what they need to know to be considered a passable surgeon–or we’ve just testing them in a whacky way. Obviously, by the time someone is taking their surgical qualifying exam, we can assume that they aren’t retarded. So that leaves point 2 and 3 to discuss further. First, consider the exam itself. What Is The Purpose Of The Boards Really? 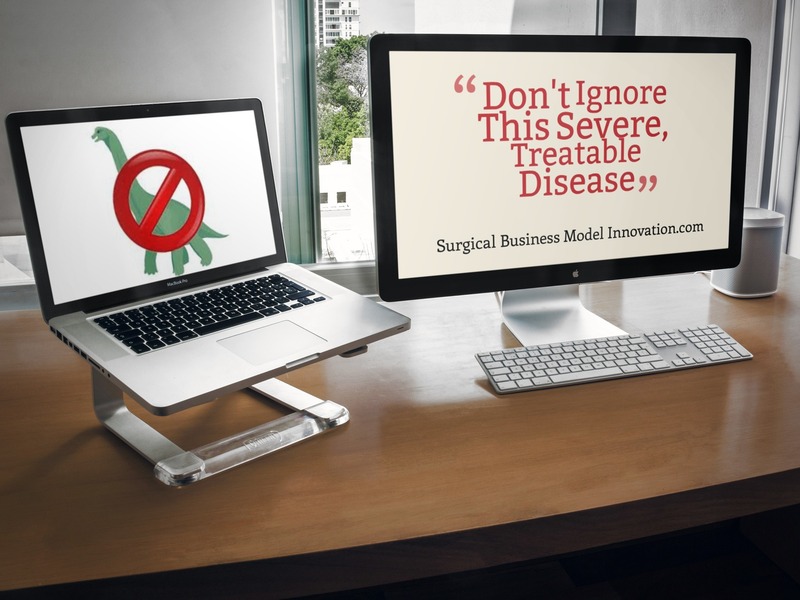 Start by asking yourself, what is the purpose of the surgical boards? The boards should be a final test that double checks the core knowledge that all surgeons should have mastered. The boards should cover the concepts that keep our patients safe. The boards should demonstrate that our residents are trained appropriately and can uniformly pass a straightforward exam designed by senior, practicing surgeons. It should not be a tricky exam that stratifies good and poor test-takers. It should not be administered to any person who hasn’t already demonstrated adequate knowledge and skill. Basically, this exam should be nothing more than a checkpoint for those who have performed adequately during their 9+ years of training–not an exam that lets good surgeons fail and poor clinical performers squeak by with good test taking skills. Seriously, should we feel ok about a fail rate of 20%? Do you know anyone that is so far behind that they should fail? We are all very smart people, skimmed off from the top of our undergraduate classes and funneled through the most competitive schooling and training to attain doctorates. If surgeons can’t teach smart people to be surgeons then who can? And if you know a resident or practicing surgeon who has fallen behind the curve, how long did it take for them to be left behind? How long were they allowed to train before someone intervened? Is their failure ignorance or is it failure of the system to identify and remediate theses surgeons appropriately? Remember, we are a profession. Therefore it’s our job to police ourselves and maintain the standards by which we mean to present ourselves. After 9+ years of education, a surgeon who fails their boards represents more than a person who has inadequately prepared, it represents a person whom the profession of surgery, or at least a training program, has failed…and, oh, if the training program / profession says that person just wasn’t good enough? Well, why don’t we select residents (future surgeons) well enough to only allow people in who will succeed? Aren’t we, as people who help train others, good enough to select people properly? Now here’s a challenging statement: if we did a better job of educating our future surgeons (or at least selected them properly), then after 9 years (4 medical school + 5 residency = at least 9!) there would be no point in even having a board exam. All of the necessary knowledge and skills would have been demonstrated by each resident by the time they were able to graduate. There’d be no need for the “final test.” Did that blow your mind? Yeah. This is where the ACGME is really starting to do something right. With the institution of the “milestone” system of resident education and the growth of the SCORE curriculum (however painfully primitive that website remains), focus is finally shifting toward the quality of time spent in residency while using appropriate measures of competency. Unfortunately they missed one big thing…no one has taken the time to teach our teachers how to teach. Once again, the profession of Surgery, despite its good intentions, has fallen short. To my generation-Y resident, medical student and junior attending colleagues: I’m interested in what you have to say about this topic. Old guys / Dinosaurs: I’m interested in your perspective as well because you have seen more change in Medicine and in surgical education than the rest of us. Please take the time to comment below! Social sciences fascinate me. Social psychology, influence, compliance gaining, emotional intelligence, interpersonal dynamics, how to lead change…all of these topics run rampant in our workplace. It’s no wonder why there are so many medical and hospital dramas on television. Our workplace, including the hospital as well as pre-hospital workplaces, medical school, academic labs and private practices, abound with pathological behaviors and interactions. Some of which are purposeful and useful, others of which are clearly not. Stereotypes abound: the outwardly loving yet passive-aggressive pediatrician, the lifestyle-obsessed and distracted emergency department doc, the painfully awkward yet brilliant physician-scientist and my personal favorite, the egotistical, over-confident, sharp-tongued surgeon. The surgical ego is one of my favorite subjects and I have many thoughts on how this came about as well as why it continues to exist. The stereotype: inappropriately confident, stern and unwaivering, ruthlessly focused on the task at hand…and ignorant of the surrounding emotions of other people–or just not caring what they may be. Surgeons thrive on chaos and adrenaline and they’re proud of it. Everyone knows surgeons have big egos. What you may not think about is why. 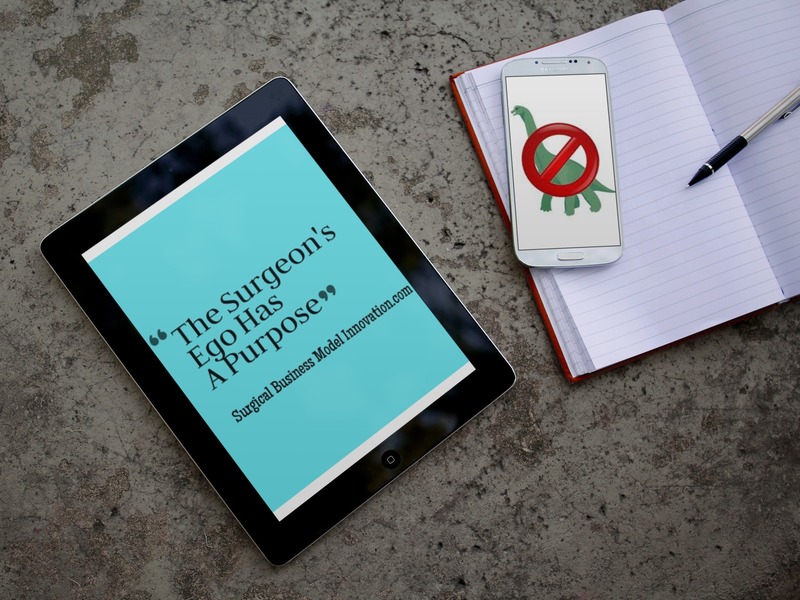 I will offer this: the surgical ego has a purpose, and that purpose is to protect the surgeon. Medicine is hard. Doctors struggle to stand out in undergrad, struggle to succeed in medical school and struggle to remain standing upright throughout residency. Physicians sacrifice years of their lives, putting off high incomes, personal growth and even family until they emerge as an attending. And even then they work obscene numbers of hours in high stress positions. Yes, the work is personally and (eventually) financially rewarding; however, the cost of getting to attending-hood is often underestimated. Surgeons undergo the longest and most rigorous training. Residency teaches more than knowledge; it’s about decision-making, leadership and technical skill. The environment is high stakes for teacher, patient and learner alike. That’s where the surgical ego comes into play. And the ego is shaped by the environment in which it must exist. IQ and emotional intelligence are often in conflict. Pitting these against professional duties in a hospital? Well this is where even the smartest and most socially adept doctors begin to fail. Before we get to the pathology associated with the surgical ego, let’s talk a little more about what the most emotionally intelligent physician may look like. 1. Knowing one’s emotions. This is self-awareness, the ability to monitor feelings from moment-to-moment and stand confidently behind your decisions. 2. Managing emotions. This is resilience, the capacity to deal with how your feel and manage what comes next. 3. Motivating oneself. Controlling emotions for productivity, creativity, mastery and attention. This is how you achieve the “flow” to continue with outstanding performance. 4. Recognizing emotions in others. In other words, empathy. 5. Handling relationships. Popularity, leadership, interpersonal skills and mastery of labile social situations. Now imagine you are a trauma surgeon and you are leading the resuscitation of a young pregnant woman who was stabbed by some low-life outside the grocery store. The patient is about to die, and so is the baby. The injury is severe & it requires a procedure that you’ve only read about before. The trauma bay is chaos and the staff are clearly upset about the scenario. You can hear family members wailing outside. What do you do? How do you act? You must stifle your feelings because someone’s life depends on it. The only way you can manage is to ignore the fear and…. Manage the room with firm leadership, loudly commanding the staff with clear, unwaivering words in an effort to get this patient to the operating room and save a life. It Makes Sense, Doesn’t It? To the fly on the wall you are inappropriately confident, stern and unwaivering. You are ruthlessly focused on the task at hand, ignorant of the emotions surrounding you. You thrive on the chaos and adrenaline and you’re are proud of it. Wait….isn’t that how we described the stereotypical egotistical surgeon at the beginning of this blog?! Think about it. I’m not saying that we should excuse all of surgery’s pathologic behavior, the point is to understand why some of these behaviors exist. To bring this back to the theme of the website, systems matter. 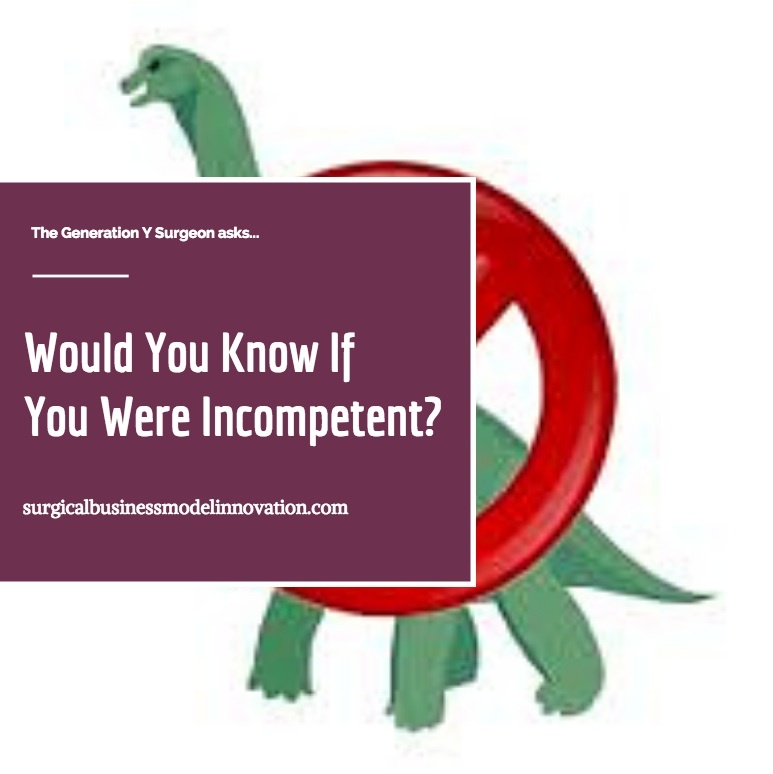 When a surgeon exists in an effective system that eliminates uneccessary stress and tension between staff, they are less reliant on the surgical ego for protection and productivity. Surgeons have often grown into the surgical stereotype because they have no other choice. Where they perceive threat or challenge they fall back on what they know and the ego defenses appear. After all, it works in the high stress situation of the trauma bay. In an ineffective system, the stereotype becomes necessary and after a short while the surgeon is unable to snap out of it. It becomes a way of life and they identify with it. Remember, surgeons spend years to get where they are and it comes at great personal sacrifice. Even so, there is always room for improvement. How do we get ourselves and our colleagues to identify when the situation is different and it’s time to drop the surgical ego for a bit? I’m NOT saying the ego is inherently bad or useless. In fact, as we described, sometimes it’s necessary and adaptive. The question is “how do we teach and learn when it’s time to shut it off for a while?” Surgeons are smart (but often tired) so how do we learn when the situation requires different tools and instruments? The surgical ego is one of my favorite subjects and I have many thoughts. There will be much more to come in future blog entries. Until then, stay curious and stay objective. So, what are your thoughts on it? Let me know beneath. Posted on July 11, 2014 Author David	No Comments on Orientation Or Disorientation? I recently graduated and transitioned into my fellowship. As most physicians know, part of transitioning to a new hospital is enduring the necessary mandatories and introductory sessions; however, as a small percentage of a large number of incoming physicians, I was grouped with the interns for orientation. This was painful for a number of reasons. However, what made me buck was much more subtle. I usually don’t snap at administrative staff; however, this interaction really struck a nerve. What bothered me wasn’t that particular interaction as much as knowing that woman thought it was her right to speak to me like that. She wrongly assumed I was an intern and spoke at me disrespectfully as if I weren’t a physician at all. I am always respectful of the ancillary staff in hospitals, regardless of their positions. Without the techs, transport, cleaning staff, office staff, managers and administrative staff the hospitals where we work simply wouldn’t run. I will point out, however, that without physicians the hospital would be worthless and without residents (future attending physicians) the hospital would very soon be worthless. * And as such, providers should be treated respectfully, even in their earliest years. Had this particular woman realized that I was in fact a board eligible surgeon, not an intern, I’m positive she would not have spoken to me in that way. I’m also positive that she had spoken to every other intern in that manner because she truly thinks they are beneath her. This make me angry for interns and for physicans in general. Let’s not forget that, by the time we entered residency, many of us were nearly one quarter of a million dollars into educational debt, 4 years of schooling beyond our bachelor’s degrees and already real, really tired. By the time we enter residency we have demonstrated commitment beyond our years and devotion to a noble profession. Interns should be treated like professionals, not children, because guess what…they’ve earned it. Now back to my real-life scenario. Thoroughly irritated, I looked around and much to my dismay, the interns were acting just like I had been treated. The room reeked of immaturity and bad behavior, all the markings of a group 10 years their juniors. The orientation had been set up much like college/university orientation and the new physicians were certainly acting the role. I wonder why the interns act like that, and whether it’s universal and what exactly happened during residency that pushes most people over the hump and into maturity. Would a different environment lead to different behaviors in these residents? Would they be treated differently by the admin staff? Maybe all twenty-somethings are like that in every field. If so, I guess I’m not as disappointed. It’s important to think about what sort of environment we first expose our residents to because this first impression may have more profound effects than we realize. There are entire bodies of literature in business and management fields which outline how to create and model professional behaviors. Outside of Medicine, this is a huge deal and yet for some reason (probably because we are too busy and too tired!) physicians have let this aspect of the workplace slip. We would all agree that we have learned by modeling our seniors and conforming to the workplace norms, but what kind of norm have we set for the interns during their orientation? Should they expect to be treated disrespectfully? Should they accept that they are considered inferior to the ancillary staff during their entire first year? No, they shouldn’t. And neither should we. 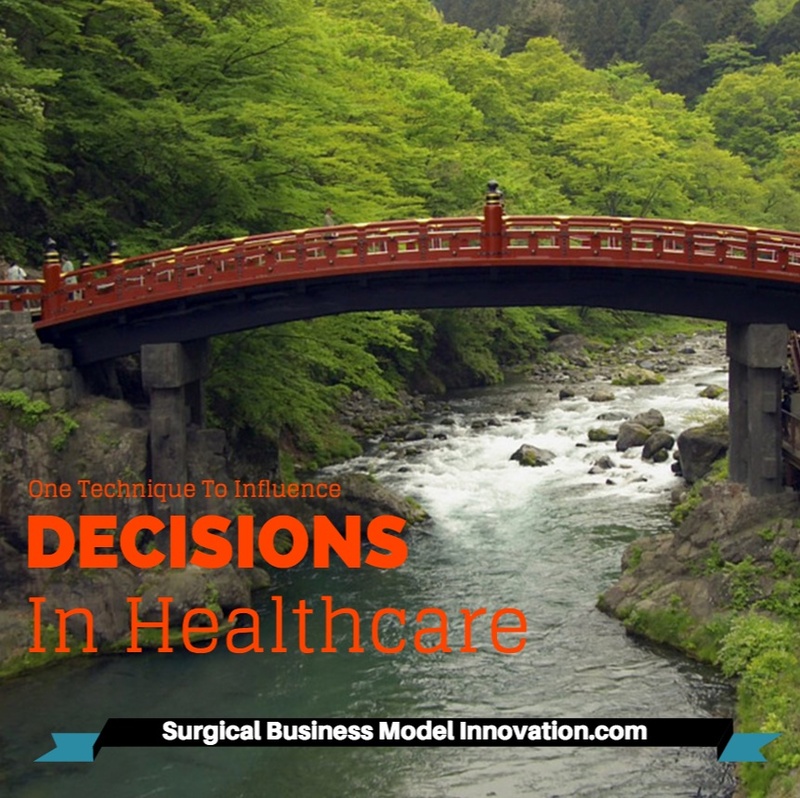 You may be wondering why I’m bothering to write about this issue on a blog about business models and innovation, and I’ll remind you that healthcare is in fact a business…and we are part of it. Don’t like it? Well, guess what, denial of what it really is just got us managed by other people. 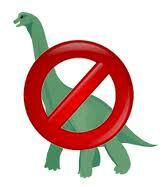 (Thanks a lot, dinosaurs, for that one.) The question is how to effectively take care of people in the current climate of Medicine and NOT to deny its realities or hope your denial and beliefs will somehow change it. Evolve, people, or die. Part of the business is building and maintaining an environment where the physicians can feel comfortable and empowered, and in this environment respectful communication is key. Somehow we have forgotten the importance of mutual respect and effective communication and our culture has shifted to the point where our incoming physicians are treated like scum. This is not how we should be ushering our interns into the hospital. Where Can You Look For More Information? As I mentioned before, there are entire bodies of literature on how to build effective workplace environments and how to communicate effectively. One free resource that I frequently use is called MindTools. I receive regular emails which outline different aspects of personal and professional growth, culture change, and common obstacles as well as some how-to guides for improving your workplace. I will challenge you to make small changes in how you model professional behaviors to the hospital staff and your mentees. With small, individual changes hopefully we will be able to change the maladaptive cultures that plague our field. Disagree? 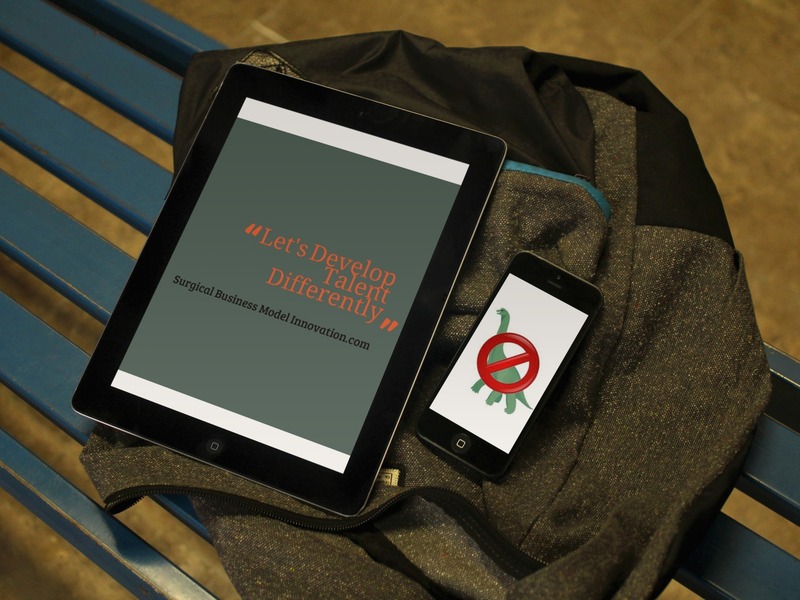 Have a different idea? Let me know beneath. *FYI: Although I am writing specifically about physicians and residents, in spirit I mean to include all other providers…NPs, PAs, prehospital staff, etc. Posted on June 21, 2014 Author David	No Comments on Why Don’t We Develop Talent In Surgery? Why Don’t We Develop Talent In Surgery? When it comes to raw talent, Medicine has plenty. However, we do a poor job of cultivating the skills of the individuals who make up this profession. Innovation is about looking from an alternative viewpoint. It’s about finding the answer to questions others don’t realize exist, and often involves finding what no one else sees. Innovation, after all, is evolution and we must evolve or die. Why then don’t we make better use of the talent we already have to grow our profession and innovate our way out of our current issues? We should encourage these doctors to lead and innovate…but Medicine does the opposite. Medical schools covet diversity. Medstudents enter with varied degrees ranging from history to engineering, and bring life experiences from business, education, farming, and teaching. Each individual has unique motivations. Throughout the early years of training, however, they are molded into a singular species and then neatly divided into groups: surgery, medicine, subspecialty, research. Somehow we have developed a culture that encourages students to strive for “resume builders” instead of encouraging creative paths and ideas. Medical students all look much the same when they finally apply to residency programs. Is that what we want? Take research for example. Many (maybe most) medical students do research during their schooling. Why? Mostly because it’s what you need to do to get a residency. But why not encourage the engineers to build a device? Patents are just as impressive as papers. Students with understandings of statistics or interest in management or business could be performing quality improvement projects. Isn’t that the ultimate research? Yet instead of pursuing creative ventures, most students devote their nearly nonexistent free time to a research project that they care very little about because it will help them get a good residency. I’m not saying that research isn’t good for students. Quite the opposite for a student who is truly interested in academics and finds genuine fulfillment in the process. For them, research is fantastic. It’s the students who don’t love research that I’m talking about. Some of these are the fresh voices and creative minds that we should be looking to for innovative ideas! Medical students are special because they are still naive to the culture of medicine and they see it for what it is. Fresh eyes don’t last long and should be leveraged for what they bring. It doesn’t take long for the system to gobble you up and change how you see the world, so let’s make the most of their viewpoints! We should think carefully about how we train medical students. Let’s mold them into the kinds of physicians we ourselves want to be–creative, independent and forward thinking.